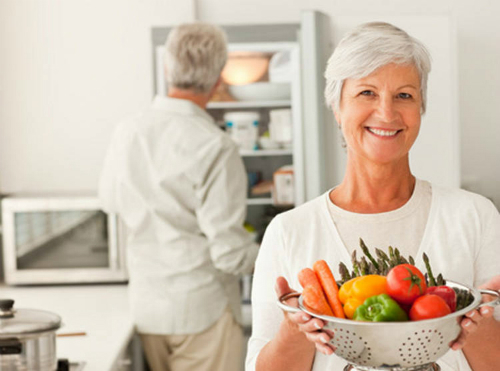 Following a healthy diet – This is in fact the first thing that all seniors should take urgent notice of. The glory days of fast food and junk food should be left in the past and healthier options of home cooked nutritious meals that are low in calories and high in nutrients should be adopted. Seeking advice from nutritionists should be in the agenda of each and all. At the same time, it is necessary to note that it is not really necessary to bid farewell to all sweets and snacks. A little indulgence every now and then with an eye on health is more than just recommended! Regular workouts – If someone says that your body begins to break down after a certain age to an extent that it cannot tolerate exercise, that someone is certainly not enlightened enough for the world society. Regular guided workouts are the key to for seniors to stay young not just in the mind but also in the body. Mild to moderate intensity exercises along with breathing exercises and meditation can counter the worst of issues that can hit this age group. Forgetfulness, balance issues, joint problems, mobility issues etc can be well countered with regular exercises. At the same time and most importantly, being physically active will keep the good hormones pumping throughout the system. Routine checkups – This is one of those matters that cannot be ignored. Being in touch with the doctor to ensure that all is well with body is imperative for all seniors and is perhaps the most important responsibility that they bear for themselves. The government has made infinite benefits available for the seniors so that they can receive affordable health checkups and treatments, and it is upon the seniors and their respective families to make the best of the same. There is no better way to remain in good health than locating issues if any at the right time and have it treated and this is something that is owed to this age group.